Na Nach Nachma Nachman Meuman: Mazal Tov to Yishai Nanach on the birth of a son! Mazal Tov to Yishai Nanach on the birth of a son! 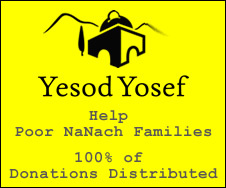 May we merit to have true Yiddishe Nanach from him.